Allotropa virgata, the sugar stick, is a parasitic plant related to the Indian Pipe, the Snow Plant, and the other species in the subfamily Monotropoideae of the heath family, Ericaceae. Like the others, Allotropa is parasitic on fungi that occur in leaf litter beneath conifers. 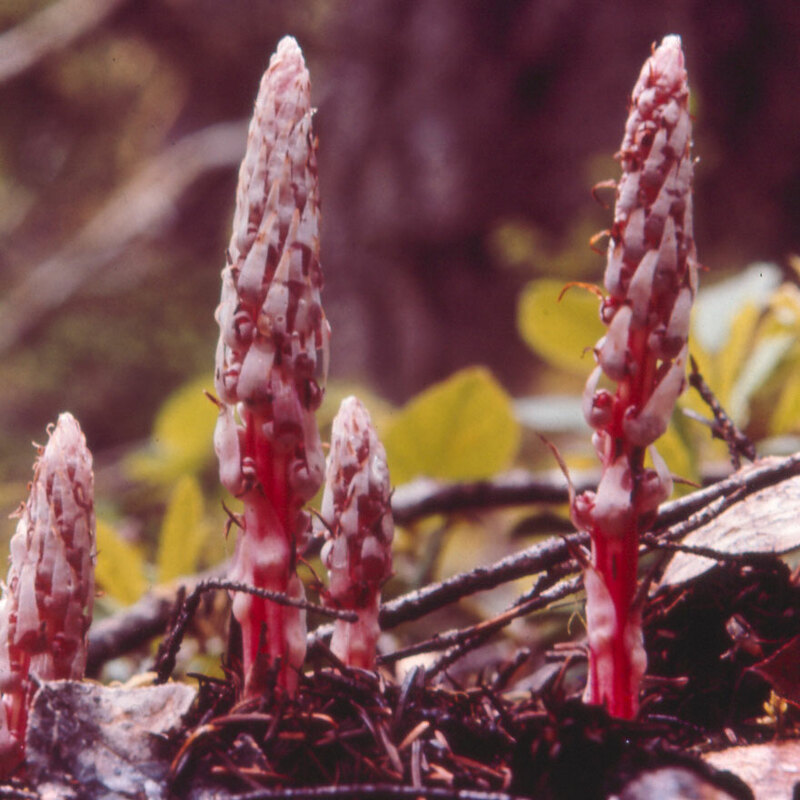 Allotropa is found beneath pines and first is the Sierra Nevada and northern Coast Ranges of California, and it extends northward to the Cascade Range of Oregon and the Olympic Range of Washington. The plants in this photograph are young, and only a few of the many flowers have opened at this point. Return to the Allotropa virgata page or the Parasitic Plant Index.